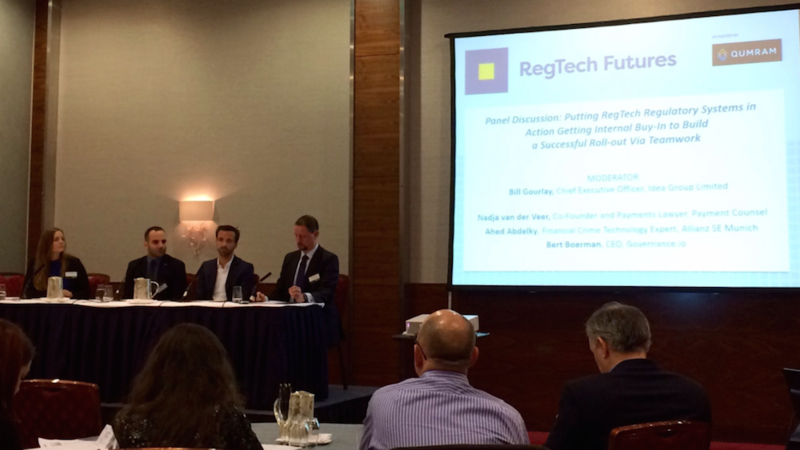 At last week’s RegTech Futures summit in Amsterdam, organised by FinTech Futures and supported by Banking Technology, the potential of regtech innovators to re-imagine compliance – reducing the cost, creating more robust systems and creating new opportunities for deeper digitisation – was discussed in depth. An understanding of failings of current systems and the potential to create something much better was clearly demonstrated by a broad range of stakeholders, including regulators, innovators, and incumbent financial institutions, but the practicalities of bringing it all to fruition face a number of barriers. There is an exciting universe of innovative solutions being developed, but getting contracts signed and over the line with financial institutions remains a challenging process with a number of blockers along the way. Embedded interests, coupled with potential job losses as compliance functions are automated and innovated, can create an environment that is simply not conducive to change and requires a shift in both strategy and culture. As highlighted by Keith Saxton from techUK, simply automating “old stuff” won’t create the desired nimble, lower cost institutions in the absence of a broader strategy that takes a holistic view of both the organisation and the regulatory context. Achieving cultural change within large, complex institutions with legacy systems and embedded interests across siloed processes is undoubtedly difficult but not impossible. 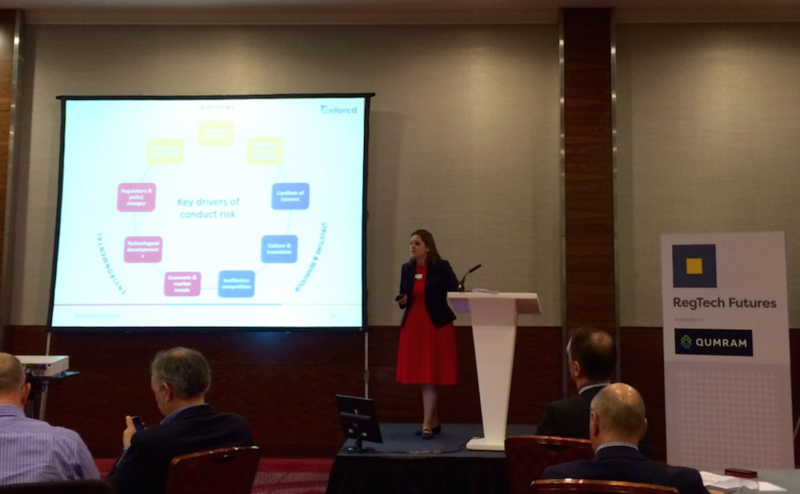 From an institutional perspective – as highlighted by Sophia Bantanidis, Citi’s head of EMEA regulatory and market strategy, transaction banking – the broad range of very specific, single point solutions can make bringing regtech innovation in house more difficult. She pointed to a need for platforms that aggregate regtech products and services. 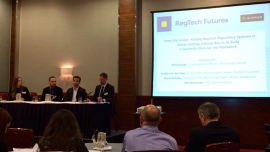 From the perspective of a regtech provider, as noted by Andrew White, founder and CEO of Fundapps, a key element of success is to focus on doing one thing really well, thus creating of potential mismatch of needs. Collaboration along with ongoing conversations with key stakeholders remain crucial elements of success. This is where innovative solutions providers need to bring in the talents of their “hipsters, hackers and hustlers” (as described by one delegate from a major Dutch bank) – who are able to create products that are designed with users in mind (created by “hipsters”), underpinned by the best technology (developed by “hackers”) and sold by “hustlers” who bring it all together, take the idea to potential clients and persuade them. Game-changing innovations, paradigm shift and synergy... Buzzwords no more! The Rainmaking Summit tapped a frustration with the kind of language that obfuscates more than it clarifies, initiatives that pay lip service to innovation while skirting around the edges, and the cultural, organisational, and technological blockers to change that define many large corporates. There was an interesting discussion at the recent Finance Disrupted event in London, organised by The Economist, that highlighted the opportunity for regtech to support financial inclusion. There has been a tremendous amount of excitement and discussion about the potential of blockchain technology to transform the financial services industry and beyond. But the only thing that is clear at the moment is that there is still a lot of work to be done to implement wide scale use cases, clear up any regulatory uncertainly or barriers and educate institutions and employees about the technology and its potential.